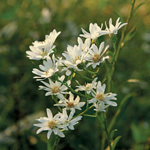 Drummond's aster is an easy plant to grow and tolerates a wide range of environmental conditions--dry to wet, sunny to shady. The lavender or pale, purplish blue flowers are attractive to many pollinators late in the year. The center of the flowers (the disk florets) start out pale yellow and develop to a reddish purple as the flowers mature. 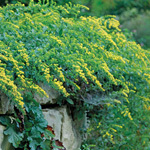 It can spread by short rhizomes (as well as seed) and may be best suited for areas where it can naturalize on its own.